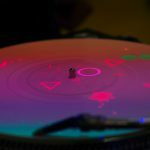 vinylOS is an alternative controller game console and media art installation based on a DJ turntable. 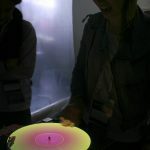 The turntable is transformed into a screen by projecting onto it from above. 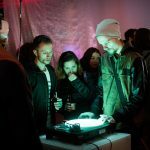 Simultaneously it takes on the role of the input-device: by spinning, scratching or rewinding the vinyl you can control games or other audiovisual content. vinylOS is not just one game on a turntable but is meant to be a turntable console. So far there are two games available for vOS but more (also from third party developers) are planned. In 2017 it won the A Maze Audience Award. 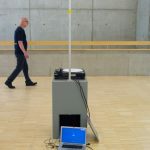 vinylOS is being developed as a joint project with Josef Wiesner.